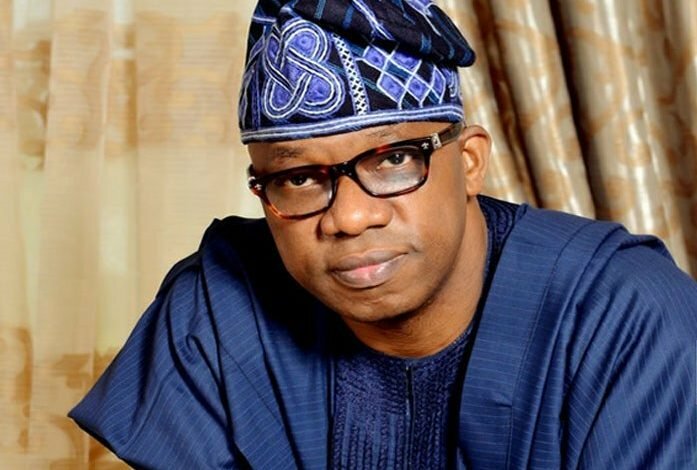 The governorship candidate of the All Progressives Congress (APC) in Ogun State, Prince Dapo Abiodun, yesterday urged residents to vote for him and re-elect President Muhammadu Buhari, to ensure good governance. He said a vote for APC at the state and national levels would enhance the presence of Federal Government projects. Abiodun said an APC governor and president would enhance even spread of development across the state. The governorship candidate spoke at the palace of the monarch of Isheri-Olofin Oba Nurudeen Adebowale, in Ifo Local Government during his ward-to-ward campaign tour of Ifo 2 State Constituency. Abiodun, who was accompanied by his running mate, Mrs Noimot Salako-Oyedele, Sen. Gbenga Obadara, Abiodun Akinlade, Director-General (DG), Dapo Abiodun Campaign Organisation, Chief Segun Adesegun, Ganiyu Hamzat, among others, said the people cannot afford to lose the governorship seat to another party. He enjoined them to vote for him and re-elect President Buhari, to attract Federal Government projects to the state. Abiodun said: â€œAPC is our party. I am the Ogun State governorship candidate of the APC. The Vice-President, Prof. Yemi Osinbajo, is our son and he is from Ogun State, while President Muhammadu Buhari is our presidential candidate. â€œI am urging you to cast your votes for all the APC candidates. â€œKabiyesi, I want you to help us spread the good news about our party to all your subjects so that they can vote for us in the coming general election. â€œOn the problems facing you in the community, I want to assure you that we have not only come here to seek your prayers, but also to afford us the opportunity to know the problems you are facing here. We will go round and see what the problems are. â€œWe are ready to make amends. â€œThere is a problem of bad roads in your community. We are going to rehabilitate them when we get into office. We wonâ€™t forget that we have made promises. Oba Adebowale had decried the deplorable roads linking the community with other parts of state, insecurity, absence of a public hospital and a public secondary school. He advised Abiodun to address them if elected. Oba Adebowale noted that Isheri-Olofin was the cradle of Awori people and the first stool in Aworiland, whether in Lagos or Ogun state, lamenting the ill treatments meted out to the sons and daughters of the community. He said it was sad that nobody from the community was in the Governor Ibikunle Amosun administration. The monarch appealed to Abiodun to look into that area and address the anomaly, if he emerged as the next governor. We won't like to experience the same thing repeatedly. Find else where to govern.